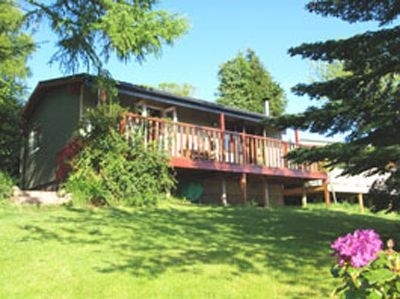 A unique holiday hideaway with large deck and sea views in a wooded, scenic area. 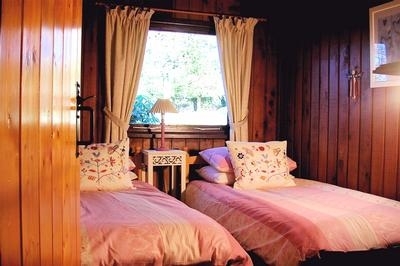 Sleeps 4 (Double & Twin) plus your dog is welcome. 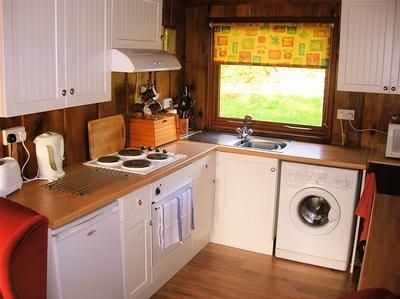 Log stove, large garden and private parking. 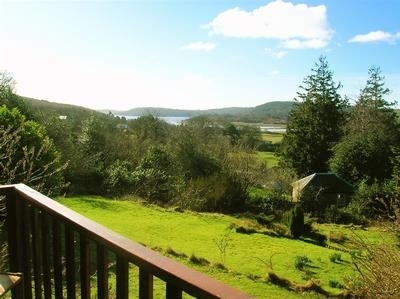 10 min walk to Kippford sailing village with 2 local seafront Inns or 20 mins to Rockcliffe along the nts jubilee Path. 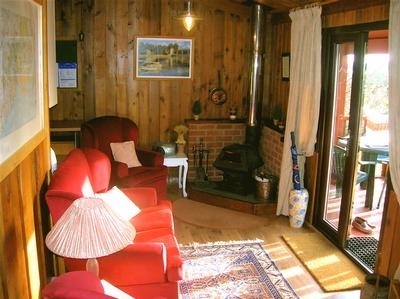 A cosy and compact, charming Canadian Cedar cabin situated outwith a picturesque sailing village along the Scottish Riviera, the lodge is well equipped & has a homestead style covered balcony and spacious deck with estuary views. 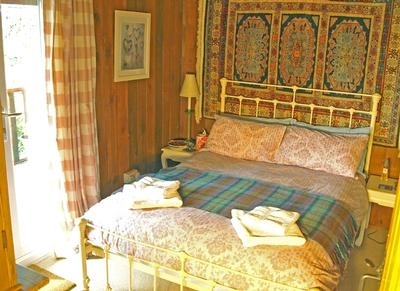 Wood paneled walls give a natural warmth and simple country charm continued in the furnishings: Leather sofa, comfy armchairs, fisherman's style lanterns, antique pine, tartan wool throws, metal bedstead, check curtains, botanic prints, pot pourri, sea-grass and rag rugs & woven baskets. Close by are beaches, forest walks, water-sports facilities, golf courses and 7Stanes mountain biking trails so it's an ideal base for romantic, family or activity breaks.